Beto O'Rourke is holding an event in El Paso, TX the same day that President Trump is holding an even about border security. EL PASO, TX—Former punk rocker turned U.S. 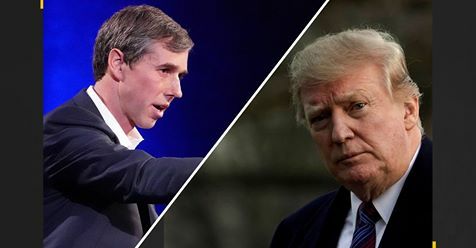 Congressman, Robert Francis (Beto) O’Rourke is expected to challenge President Donald Trump at the border during Trump’s first campaign rally on Monday, February 11 in El Paso. Beto, served three terms as a Texas Congressman before losing to Republican Ted Cruz in November 2018. 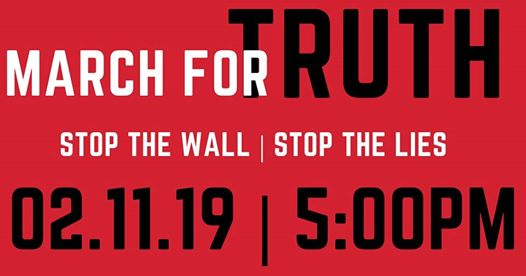 “The March For the Truth” event is an anti-wall March. Beto O’Rourke is participating in a protest against POTUS building a wall. ABC News reported that the former congressman stated Friday that he will attend the rally in his hometown with the intention of countering Trump’s appearance. Beto is expected to speak at 7:00 p.m., the same time President Trump is scheduled to take the stage. “The border city of El Paso, Texas, used to have extremely high rates of violent crime — one of the highest in the country, and considered one of our nation’s most dangerous cities. Now, immediately upon its building, with a powerful barrier in place, El Paso is one of the safest cities in our country,” said Trump. Congresswoman Veronica Escobar wrote a letter to POTUS requesting an apology citing that the FBI figures on violent crime were inaccurate and that the crime rate has actually gone down since the 1990s. “Monday we will welcome the President to one of the safest cities in the United States. Safe not because of walls, and not in spite of the fact that we are a city of immigrants. Safe because we are a city of immigrants and because we treat each other with dignity and respect. A city that has the opportunity to lead on the most important issues before us, out of experience, out of compassion and out of a fierce determination to see this country live its ideals and rise to its full potential,” wrote O’Rourke on Medium.com. Congress and President Trump have until February 15 to come up with an agreement on federal funding, border security and building an infrastructure to protect the border. If an agreement is not reached, the federal government will suffer another shutdown and Trump has noted potentially declaring a national emergency.